The Haywire is the softest shoe that Mad Rock has ever made. 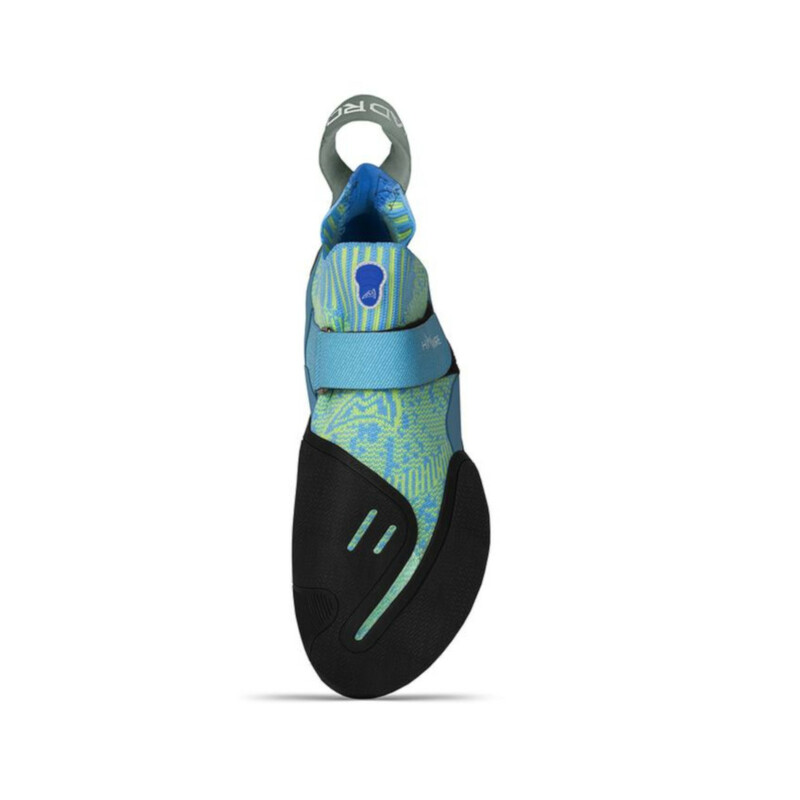 It is designed for steep climbing and indoor training sessions. 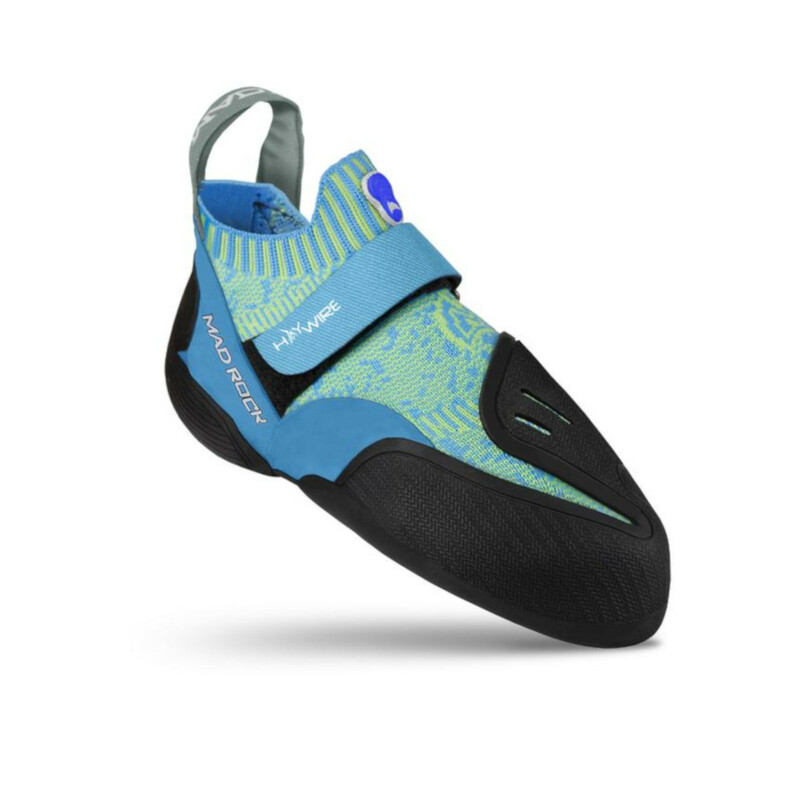 The upper of the Haywire is made from Mad Rock's new FloKnit technology which is combined with the one piece toe box, this provides you with a very comfortable and sensitive shoe that gives you lots of power through the toes for those steep boulder problems, and overhanging sport routes. 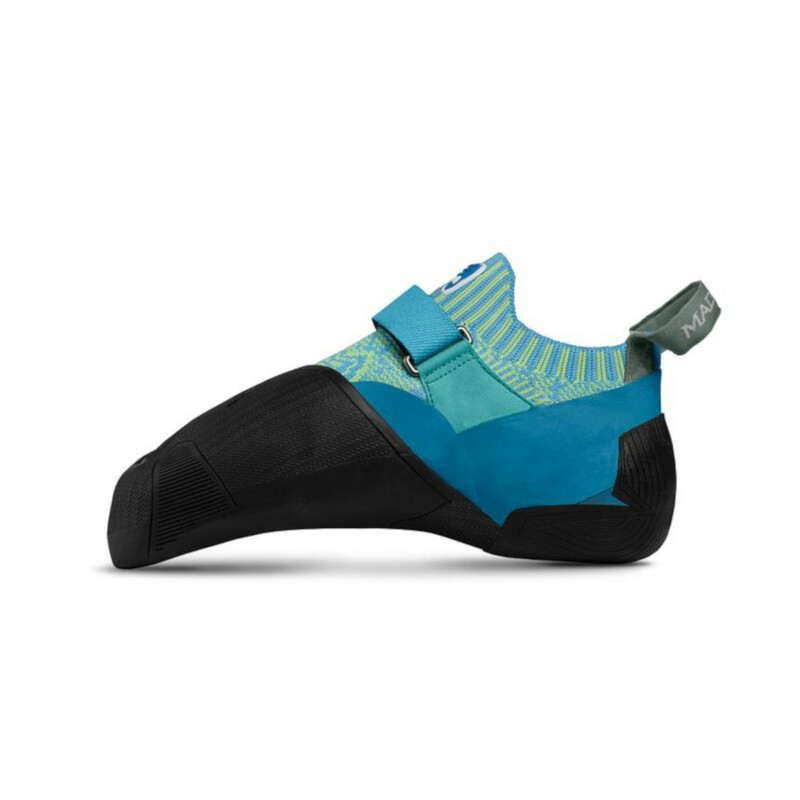 The Haywire will not lose its downturned shape over time thanks to the way it has been constructed, it has one velcro strap to secure your foot in the shoe, which lets you put lots of power through strenuous heel hooks without worrying about your foot slipping out of the shoe.